1.After not less than three months of continuous paid service. 2.By reason of physical disability. For WW2 Army, at least there is a roll of their serial numbers that will give you the Regt'l number and name of the soldier it was issued to. I have a private researcher do my look-ups in Ottawa. There is sometimes an entry in the soldier's files too as to what number GS badge they got. There seems to be x3 types involving language, consrtruction and fastener on the back. The Sterling ones were the early issue and may have been screwback only. The vertical pin vers. were to women who had no hole in their lapels. but am unsure if they even exist. I'm just extrapolating from the possible combinations of construction, language and fasteners. If anyone has an example of those I need, I would be pleased to at least have confirmation they exist. Good afternoon, I am wondering if you can help me. My father served in the second world war in the navy and had a tattoo from the HMCS Longbranch. I do not think that this was an official badge for the ship or at least I haven't been able to find it but would sincerely like to find a copy of this. Do you have any suggestions? Any help would be appreciated. No, I'm afraid I cannot. I know very little about the Navy side of things. I did have to look up what type of ship she was and a search revealed no crest image on the web that I could find. There area few Navy-philes here that could possibly help. Best re-post as your own thread here and you may get a better response. Nice little project. Collecting War Service Badges is a challenge. There is one encyclopedic book that is the reference, Canadian War Service Badges, 1914 - 1954, but unfortunately, it is oop. It has an incredible amount of information about the series of badges issued by Canada, from the First World War to Korea. It also covers badges to all the services, and a section on Misc. Service Buttons. The book also includes sections on the paper work issued with the badges, the orders/legislation for the badges, etc etc. It is very well illustrated. Many thanks for that additional info. I don't know what is meant by "hasp back badges". If you see another, please let me know. Thanks. Hello Darrell, Hasps refers to the pin and locking device pattern fastener. This is the pin back type with the small round rotating locking device. ABE books is a great place to look for oop books. 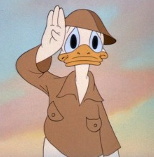 http://www.abebooks.com/servlet/SearchResults?sts=t&tn=canadian+war+service+badges+1914+-+1954&x=53&y=16. Sorry, I should have clarified the hasp / safety pin terminology. They are one and the same. The hasp, like the head on a safety pin, locks the pin in place, supposedly preventing being poked. So, in Johnson's reference, the safety pin means the hasp type. 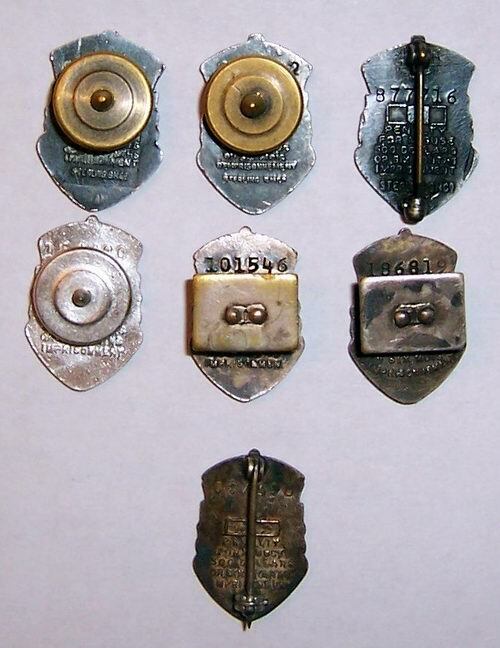 There is no record of the type of fastner like a diaper safety pin used on the War Service Badges. 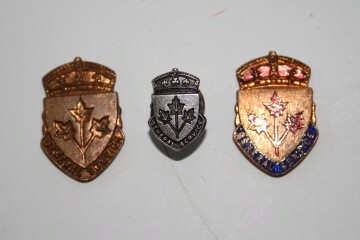 From a survey of the table in War Service Badges, there were three different makers for the enamel patterns, Gaunt, Smith-Nemo, and Breadner. 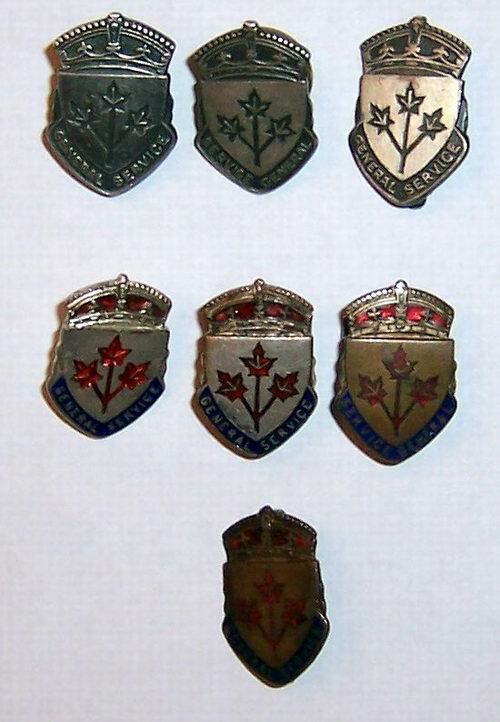 "Canadian war service badges 1914-1954" by Robbie Johnson. Is it any good? Just kidding.....if anyone needs something looked up let me know. Yep, that was the book we were referencing for this thread. Still looking for French variants for all of them. I thought I'd add a couple to the showing. 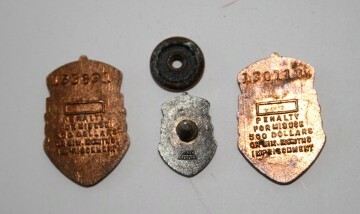 Two unfinished blanks, one being in copper and the other enamel and copper. A Sterling Silver miniature, marked BIRKS STIRLING. 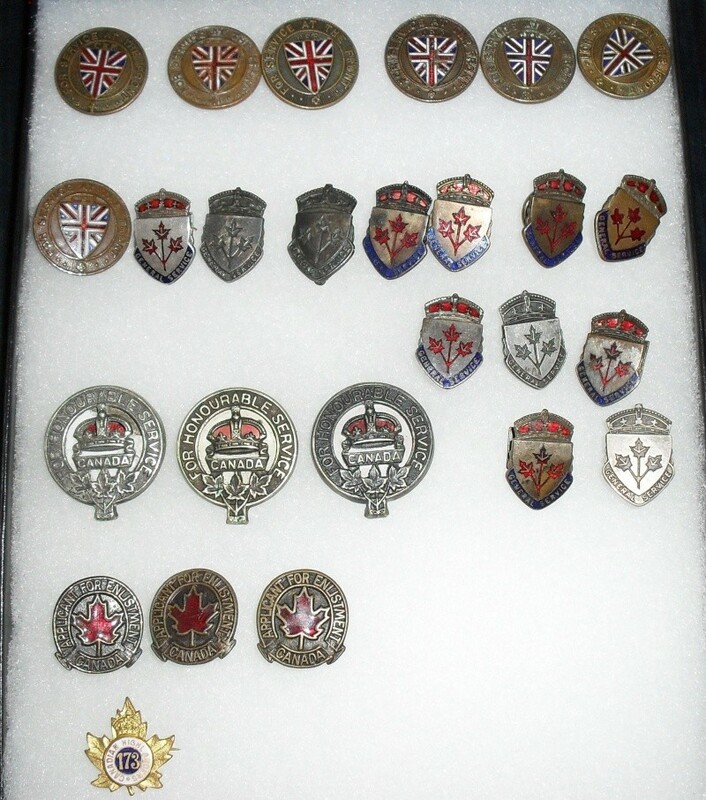 To quote from Johnson in Canadian War Service Badges 1914-1954, page 100, "Although not official issues, miniatures of the General Service badge were available in both sterling silver and gold. The qualified Veteran, by producing their proof of entitlement, could purchase a Sterling miniature at any Birk's store for $5.00." Pretty good selection there. Don't give up the French ones; they're out there. Just re-read the last post here.......I too haven't seen a mini. Just one more to add to my "to find" list. I have seen the odd mini around a few years back, but not recently. Never really understood the whole "mini" concept. Meaning why are there mini's and what purpose do they serve?? My theory is that the mini's are jewelers copies, (therefore I personally passed on them) or something of the like. None of the ones I have seen have the "warning" about misuse on the reverse, nor do I recall seeing a number on the reverse. You are quite right. The minis were sold by Birks to qualified veterans. The price was $5.00.